Have you ever felt like your hip bone was rubbing against your femur during a squat? It’s particularly uncomfortable, somewhat excruciating and very frustrating. I was unfortunate enough to experience this discomfort for the first time last year, almost 4 years into my lifting. I had always squatted, but never had I squatted with pain before. I was prepping for Open Nationals and prep was going along smoothly. It was tough, but I was killing it. I was squatting numbers your boyfriend can only imagine of achieving in his dreams. I’m not entirely sure where things started to change, but when anterior hip pain became present during a few of my lifts, that soon eventuated into my squats, I knew something was up. And needed to be sorted ASAP. I was about 6-8 weeks out from comp, so time was not on my side. But I was not going to give up. 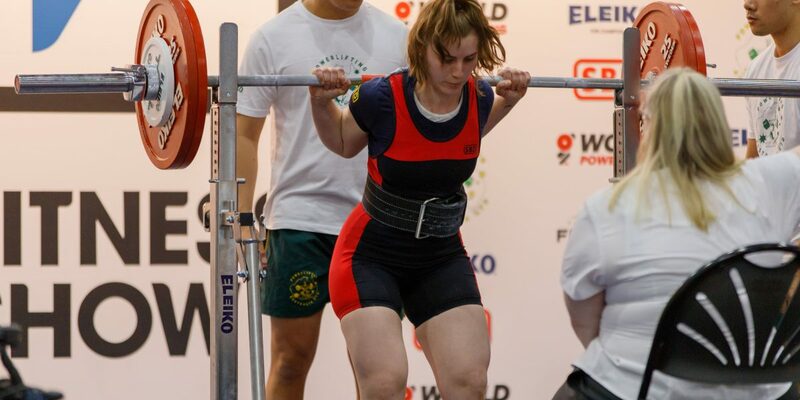 Unfortunately, injuries and niggles are part and parcel with competitive sport, and powerlifting is no exception. Sure, it’s always going to be ideal to train pain free and never incur an injury, but the reality is, there is always a higher risk of injury, when lifting heavy loads and sometimes they are unpreventable. So, when we are faced with injuries, or niggles that affect our ability to perform certain movements, we need to have an understanding of how to manage them appropriately. Having a trick or two up our sleeve (or just some old fashioned knowledge and wisdom) can go a long way. Or maybe you’d just like to perform bench only, but lets be real, the bench is just a rest between squats and deadlifts! Hip pain in particular can be quite a common issue within a powerlifters career and I wanted to share with you my experience in successfully overcoming hip pain/tendinopathy to help you in your lifting and ensure you can get on top of any hip pain immediately. So, here are my 4 recommendations to combat hip pain in the squat. 1. Find a physio, a good one! My biggest piece of advice is to work closely with a registered allied health professional. I’m not claiming to be an expert on hip pain, but they are! She/he will be your biggest weapon in combating any discomfort or pain that arises. So, what does the physio even do? There job is to assess and diagnose the issue and help you devise a strategy to manage and rehabilitate the injured area. The physio will assess the extent of the injury, (refer out for an X-ray if required), perform release work via massage, as well as prescribing mobility/prehab exercises for you to perform. I highly recommend regular sessions, to keep you accountable to your mobility and frequent sports massage, will help to release tightness above, or below the hip injury. When I’m in comp prep, I see my physio weekly, and in off season every 2-4 weeks. Special shout out to Chris Bryceson of CB Physiotherapy. He is no ordinary physio, and demonstrates why working with an allied health professional who works with athletes in your sport, powerlifting in particular, will go a long way. Okay, enough cheeky plugs – but he truly is my favourite person when I have an injury, and he goes alright the rest of the time too! This one is especially important and comes close after my number 1 tip. Corrective exercises are basic drills that are designed to activate certain muscles, help improve control/awareness and help to strengthen and support the muscles surrounding the hip to ensure movement is purposeful and pain free. As an example (this may not be the case for you), before my sessions I perform glute and rectus femoris activation drills, breathing exercises and bracing techniques to prepare my body for the session ahead. Exercises such as modified clams assisted in engaging my glutes during hip flexion (squatting) and the rectus femoris strengthening exercises with a theraband/kettle bell help develop strength in the anterior hip. Strengthening the muscles surrounding the injury can help reduce muscle imbalances, expose the weak muscles to stimulus as well train the muscles through a range of motion that closely mimics the movement you need to train. This can help reduce pain as well as prevent injuries in the future. 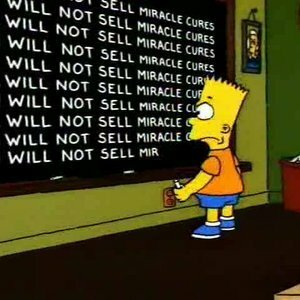 Remember folks, ain’t nobody gonna successfully rehab an injury by simply avoiding using the injured muscle! Actually putting the muscle through some type of stress (albeit low loads initially) and through a range of motion you can control and perform pain free is particularly important in your road to recovery (and anyone who tells you otherwise..Should not be trusted). And to be honest, they probably don’t like peanut butter either (FYI this is big red flag here to not trust someone). Don’t be the guy or gal who neglects rehab, just because you can’t be effed. If you’re really serious about improving your lifts, recovering from an injury, and are a true athlete, you will take your prehab/mobility seriously. Yeah they look weird, and you may feel silly doing them, but the outcome will be properly engaged muscles, heightened recovery and will keep you lifting in the gym for years to come. So keep doing your Titanic “I’m flying, Jack!” strengthening theraband exercise, because that could be the reason you’re able to nail your squat come comp day (and pain free too)! In many cases technique or load may be causing the injury. So whilst the first two points are critical in managing your injuries, often absolute intensity (heavy loads) with moderate-high volumes (reps x sets x load OR number of hard sets per week) can play a role in helping you overcome pain and injury. So, if you’re experiencing consistent and nagging pain, it may be time to drop your ego. If you have a coach, and they know what they are doing, they will often reduce total volume and average intensity on the lifts that aggravate the hips. This can go a long way in ensuring recovery and rehabilitation occurs. If you coach yourself, it may be daunting to make such an adjustment to your program, but often one step back will allow you to take ten steps forward. From my own personal experience, the reduction in squat volume overall, was the most beneficial for this particular injury. Performing singles and doubles, at high intensities, were far more manageable then performing moderately heavy squats, for higher volume sets. This is because with higher volume sets, require repeated pressure on the hip, with minimal time in-between the next reps/sets. Deloads may also be helpful to reduce overall volume for a period of a week. So be sure to manage fatigue and keep close tabs on your recovery between squat sessions! Technique trumps all. Often the biggest contributor to injury is technique. Technique can be affected by a number of things – your understanding and mastery of the movement, load and volume etc. However, in many cases if your squats are just not ‘clicking’ you may need to modify your technique. There are many considerations surrounding ideal individual technique for a squat that are beyond the scope of this article, but small tweaks to your technique could help you take your squats to another level. Playing around with foot position, stance width, lifting shoes etc can be useful to navigating and finding a technique that you gel with. In my case, the more externally rotated my hips were, the worse the pain would get. Having a more forward toe angle and cueing “knees forward” instead of “knees out” helped reduce the external rotation at the hip and voila – less pain. Now this may not be the case for you, but the point is not to be afraid of trying out new things in your technique. Just be sure not to make too many changes at once or overhaul your current technique. My coach and I worked hard on internal and external cueing to help me find a position that helped me feel less and less hip pain as time went on. And yes this does mean training through small amounts of discomfort at times. At the end of the day, if you’re competing and you have an injury to nurse, you gotta do, what you gotta do. Do what you need to survive. If time is not of the essence, (which was the case for my last prep), do everything you can to keep progressing, without causing further damage. And then once the prep is over, address the weakness that may have caused the issue to begin with, and work on recovering that hip! That’s all from me for now. Now go on your way and squat.. Or just grow your biceps instead. Nyree is a head coach at JPS, national level powerlifter and is extremely passionate about empowering females to develop their physical and mental strength.